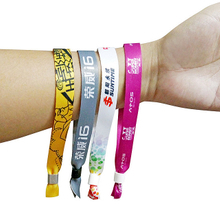 Most of our personalized fabric wrist straps are made of polyester, it belongs to a smooth wrist straps, you will feel breathable and comfortable when you wear it. From running to cycling, swimming or other sports, we know that comfort is a priority, so you need to select one very comfortable wrist straps, our fabric wrist straps is a good choice for you. If you have any requirements on the width, sizes and colors, you can communicate with us, we will provide help for you in time. 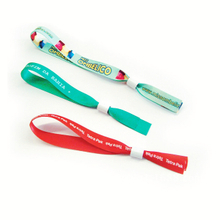 With the most advanced print technology, we make sure that the personal printed letters or logo are not erased, including fabric wrist straps won't fade. 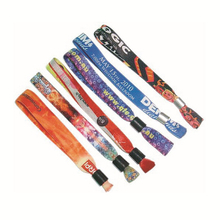 When you are looking for one wrist straps for enterprise publicity activities, sales promotion gift or group sports activities, you can consider our custom fabric wrist straps. Whether for quality, or price, we can always let you satisfied.